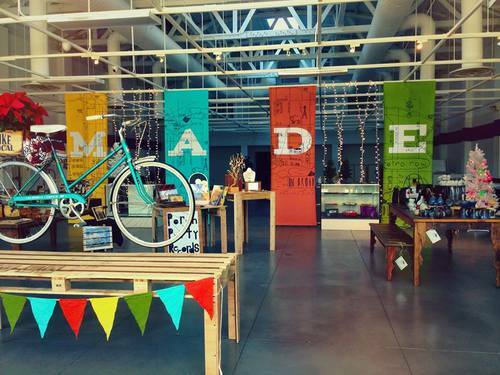 I’m very excited about this new store that just opened called MADE in LB. It features local products from small merchants and artisans in Long Beach. They are also going to have in-store events! Gatsby Books, our favorite indie bookstore, will have a booth there early next year when they officially open. In the meantime, they will have a holiday showcase of local merchants and Gatsby’s monthly storytelling showcase, Speakeasy, will be held there on Wednesday, December 17th at 7 pm. On top of all that, I get to do a special storytelling set of poetry specially arranged for the event. If you are in the area, come down and check out the local goodness and hear a story or two or three. There is even an open list if you have a story to tell! 236 Pine Ave, Long Beach. This is going to be a wonderful new Long Beach spot.